﻿﻿﻿The weekends celebrations began on Friday evening at the Euro Youth Hotel sponsored fund raiser. The keg donated by Augustiner was tapped (eventually) by the chairman who, being a handless fool, struck his left ring finger with the hammer on the first blow. It is still heavily bruised and painful if anyone is interested. The beer though was very tasty and enjoyed by the impressive number of members who turned up. Matt Fudge`s girlfriend Tina had actually turned up one week early with nine of her colleagues from work which is taking a partiality to Augustiner just a little far. The opposition from Prague were staying at the hotel and so joined us as the night wore on, some of them celebrating until the bitter end at 6 am. Knut Haenelt, true to form, came at 11.30 via Augsburg to ensure it was a long trip, almost qualifying as a tour. 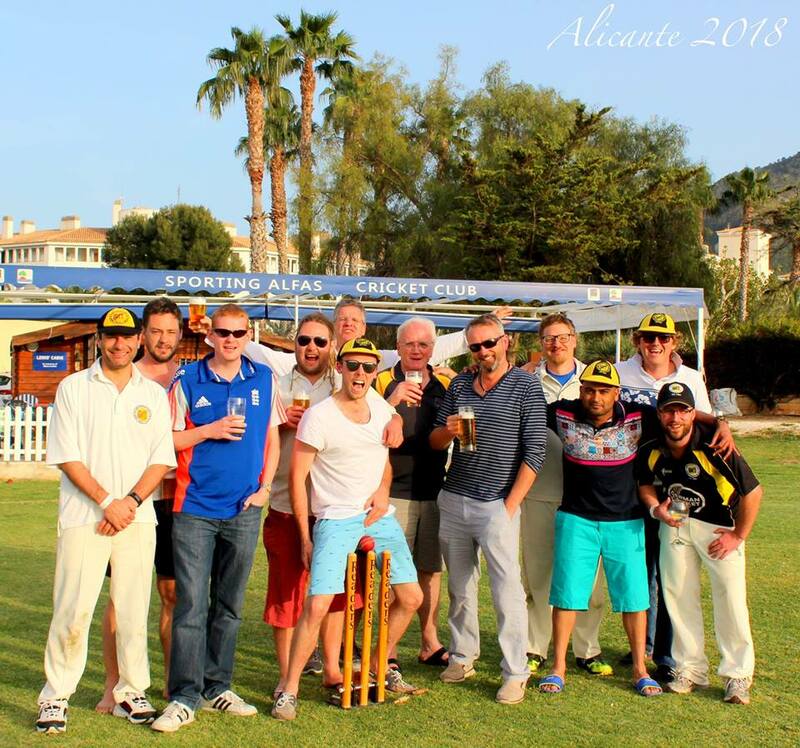 Several hundred euros were raised on the night and will go to the artificial wicket fund. The guests arrived well on time for the first game of 20 overs against MCC A on Saturday, despite their late celebrations. They were already wearing their one-day kit, a black outfit without any numbers or names and they wore black batting helmets too making the scorers life a nightmare. They also brought with them a white picket gate which was nailed into the ground on the boundary and all players had to use it to enter and leave the field of play. Captain Weston won the toss and chose to bat and put on 93 for the first wicket with Embleton, then another 43 for the second wicket with Ferguson before retiring for 101, his 50 coming in 30 minutes off 24 balls and his 100 in 58 minutes off 44 balls. MCC A were 171 for 4 after their 20 overs, only 13 of the runs being wides. In reply Prague Barbarians were all out for 84 in 19 overs, their highest scoring batsman being R. Osbourne with 21. Fudge was pick of the bowlers with 3 for 11 off three overs. However it appeared that the adding of the wide boys page to the stats caused some confusion for some bowlers seemed to want to head the table rather than be at the tail end of it and, in total, 33 wides were bowled. After a tea break, Prague won the toss but chose to field and MCC B opened with Sarma and Van Dalsum who put on 83 for the first wicket before Van Dalsum retired on 55, with his 50 coming up in 32 minutes off 23 balls, so well on the way to beat Weston`s figures. Other notable scores in MCC B`s innings were Sarma with 33, Clare with 20 and Goldstar with 33 not out. The final score was 157 for 8 in 20 overs. There were some notable ducks and, although by no means final, there is now a clear leader in the duck race. In reply, Prague Barbarians were all out for 72 in 13.5 overs, with only two batsmen reaching double figures. Pick of the MCC B bowlers was Goldsack with 5 for 11 off 4 overs and Van Dalsum, although not keeper, took four catches. The confusion as to the purpose of the wide boys page continued and MCC B, not to be outdone, also bowled 33 wides but in far fewer overs. After the match the remainder of three crates of Augustiner purchased from Helmuth were consumed before retiring to the Chinese tower to discuss tactics. 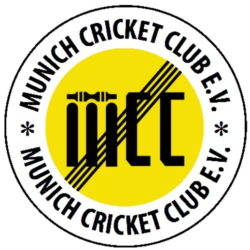 MCC A, 171 for 4 in 20 overs, beat Prague Barbarians, 84 for 10 by 87 runs. Shankarappa, DNB, 2 overs, 0 mdns, 0 wkts, 21 runs.